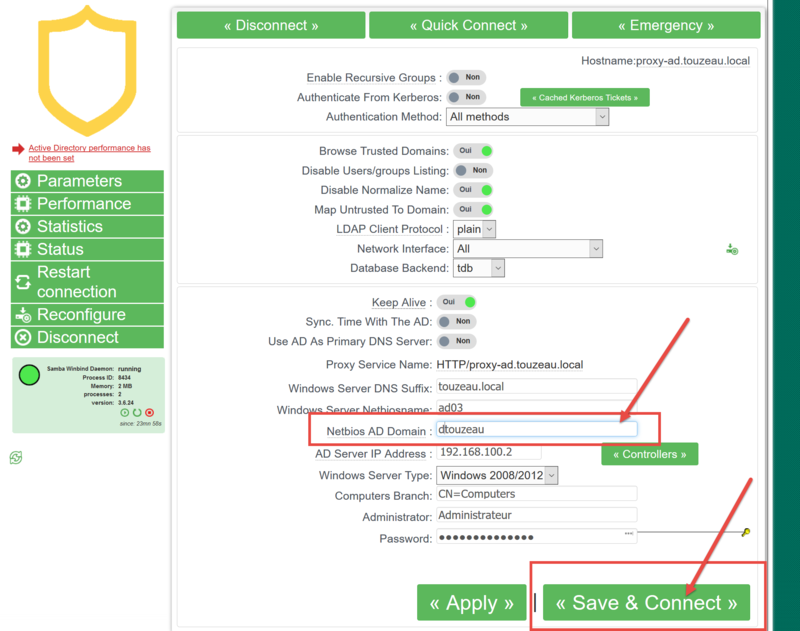 This because the wizard understand that the domain part of your Active Directory domain is the netbios domain name. 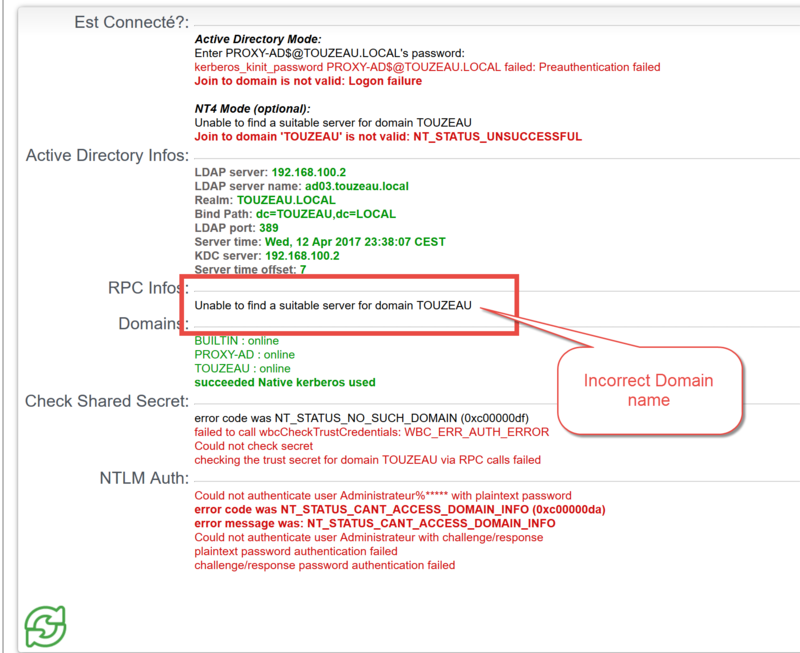 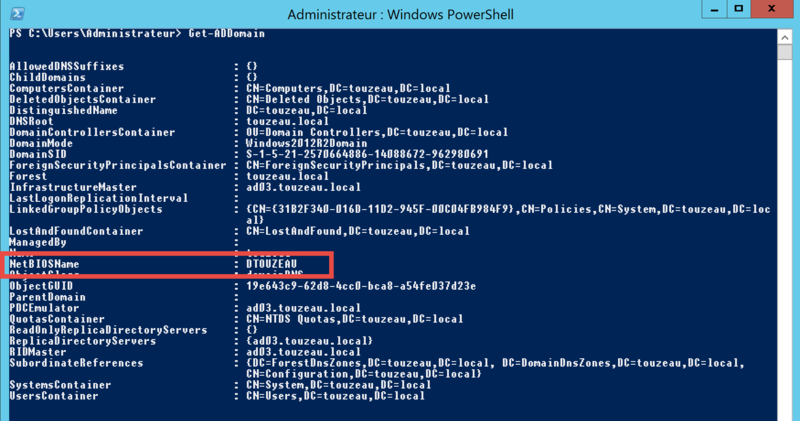 Example for an Active Directory server called dc03.touzeau.local, the wizard set “touzeau” as the netbios domaine name. 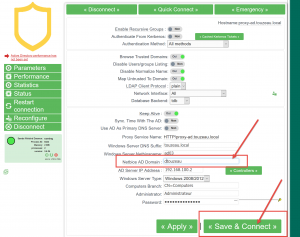 In most cases the wizard is right, but sometimes the netbios domain name is not the same as the domain. 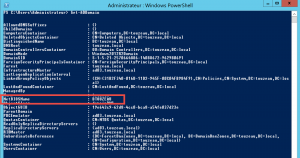 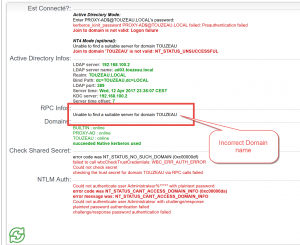 You will see the Netbios Domain used by your Active Directory server.